Haryana Public Service Commission(HPSC) Released a recruitment notice for Haryana Civil Service Examination. Today i.e. 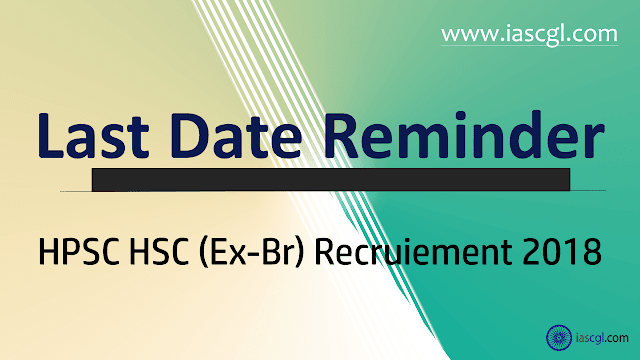 15th Feb 2019 is last date for online application and fee payment for HPSC HSC. Interested and eligibile candidate an apply through official website. Please note that, you've to apply online only i.e. you don't have to send hardcopy to HPSC.